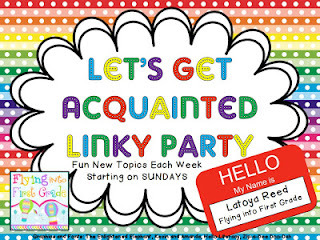 Let's Get Aquainted Linky with Flying Into First Grade!!! Topic of the week- 3 of our favourite areas in our classroom. Okay as many of you know I didn't have a classroom this year due to moving so these pics are from my classroom last year. I am really picky about my classroom set up so I know these will areas that I plan to set up in whatever classroom I am in next year. 1) The listening center/computer area... This area is the one of the kiddos favourite, along with mine because it keeps them busy & quiet. lol Students get a chance to visit the listening center and computers center at least once a week. Also anytime students finish their work early they are allowed to go to the computers or listening center as long as students are there during their center time. 2) Do you have a door in your classroom that leads to outside? Boy were we ever so lucky at my old school. All kinder classrooms, with the exception of 1, have a back door that leads to outside which takes up straight to the playground. I L-O-V-E-D this area (not technically in my classroom) because the kiddos loved playing in the sandbox for certain centers and reading outside on the back area. The pic above is from when we focused on the letter D- on celebration Friday students were paleontologist digging for fossils (noodle shells). The pic above is from when we focused on the letter C- on celebration Friday students were cowboys where they practiced riding a horse and roping a bull. 3) Reading and manipulatives area- I love little nooks in classrooms! This area is where kiddos can read quietly, write math equations or words on the chalkboard, or put puzzles together. What are your favourite areas in your classroom? Also, did you check out the Magical Product Swap yet? Don't miss these fabulous reviews and head over to Mrs. Stanfords Class to see who all participated. Some of my favourites are having a giveaway!!! Live Laugh I Love Kindergarten and Learning with Mrs. Leeby are having a Survival Giveaway! 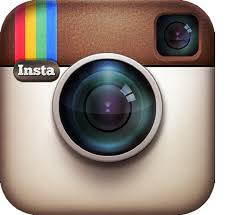 Have Instagram? What's your Instagram name? You can now follow LL&M on Instagram @ lovely_literacy_and_more. I purchased some super cute graphics today @ Scrappin Doodles. I just love them! If you don't get their newsletters you need to. Get a discount with APRIL2013 code. Love your little nook area! It looks so cozy and colorful :) I bet your kiddos love it!